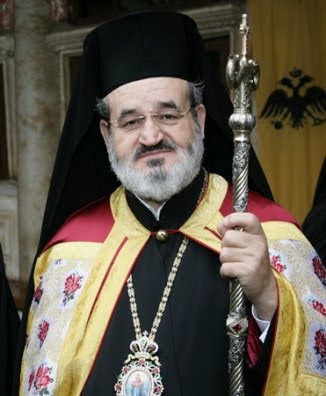 Theodoros II, the Pope and Patriarch of Alexandria and All Africa, has commented that he is following anxiously the events going on in Libya regarding the safety of his flock. 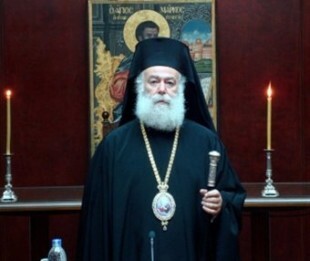 The Patriarch is in constant communication with Metropolitan Theophylaktos of Tripoli who is grounding and strengthening the Orthodox Christians in Libya. In a television interview the Metropolitan said: "I must stay behind. This is the purpose of the bishop. I can't leave from being near neither 100 sheep nor if it is only one. I cannot abandon my flock. Today we did a Divine Liturgy and there were a few people, but the church still opened." The Metropolitan further said that at night the people do not leave the house at all, but in the morning they carefully go to buy some bread and water and also visit the church.